Q: Does Jus’ Sail offer catamaran charters? Q: What is the maximum capacity of guests on the boat? Q: Is there shade aboard the boat? Q: Is there a washroom aboard? Q: What is the difference between a group and private charter? Q: What is included in the charter rates? Q: Can I request a specific drink? Q: What do I need to bring with me aboard? Q: Where is Jus’ Sail based? Q: How far will we sail on the charter? Q: Will we see the pitons? Q: Will we see whales or dolphins and other wildlife? Q: What happens if the weather is bad on the day of our charter? Q: What is your reservation and cancellation policy? Q: Can we sail to Martinique? 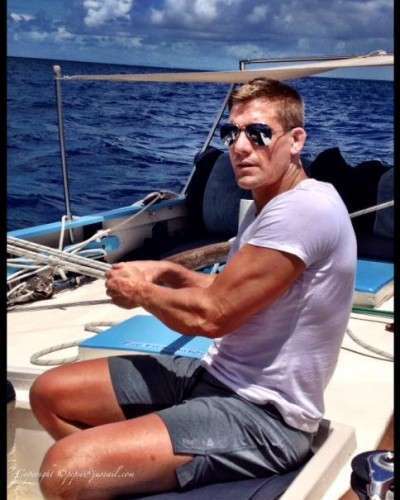 Q: I’m a keen sailor can I take the helm or trim a jibsheet? A: No. Jus’ Sail’s vessel – Good Expectation – is a traditional wooden trading sloop, 36ft on deck, built on the beach of the small community of Windward in Carriacou, the sister island to Grenada and the Southernmost Grenadine island. Built in 1984 at the very end of the era of trading by sail to bring cargo from Grenada to Carriacou, Good Expectation was designed with a cargo hold and no living quarters. This results in wide open decks which are ideal for day sailing, with lots of space for relaxing on deck, with down below having been renovated to offer a washroom and changing area. 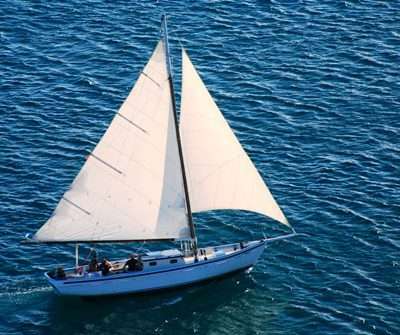 Designed to sail between the islands of the Caribbean Good Expectation offers a wonderful solid sailing experience that only a wooden vessel can deliver, its very different to lighter modern fibreglass vessels. We are sure you will love it as much as we do. Why not come try it for yourself! A: Although licensed for 8 passengers, Jus’ Sail’s policy, to ensure maximum comfort for all guests, is a maximum of 6 guests per charter. For a group charter that would mean a maximum of only 3 couples. For private groups wishing to undertake shorter duration charters such as sunset cruises Jus’ Sail will, however, consider taking the licensed maximum of 8 on special request. A: Yes to both. We have designed a special sunshade at the back of the boat where guests can relax in our oversized bean bag cushions and enjoy the sail under shade. We also have a custom built awning which we set up once at anchor to give further shade over the cockpit and centre of the boat. A: Yes we have a washroom down below for guests to use when ever they need. Our self contained toilet system ensures that no sewage enters the sea but is instead put into the sewage system ashore, helping in a small way to reduce marine pollution. A: A private means exactly that, you have chartered the Jus’ Sail and Good Expectation for you, and you alone. You will not be sharing the boat with anyone else. Our private charter rates are for up to 6 persons. 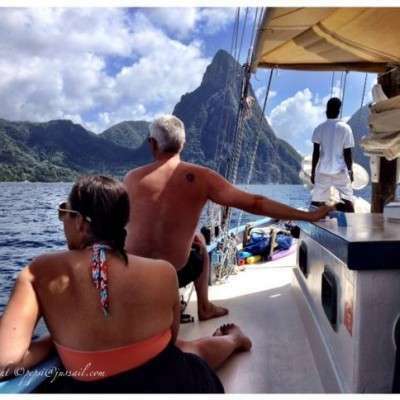 A private charter with Jus’ Sail is the perfect and ultimate way to enjoy the peace and tranquility of sailing in St Lucia without the distraction of anyone else! 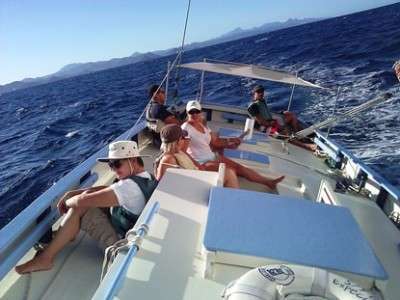 A group charter is a way for you to enjoy sailing with us whilst sharing the cost with others. Group charters are priced per person. This gives you great value for money as well as the chance to meet new friends. 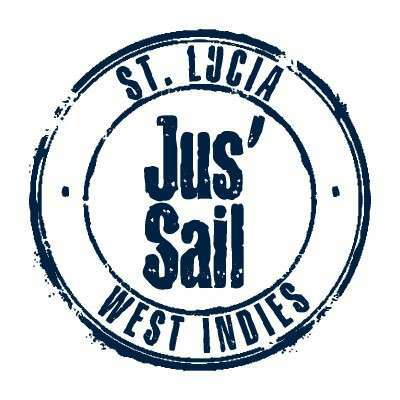 Jus’ Sail has a policy of 4 persons minimum in order to run a group sail and a maximum of 6. If you sign up for a group sail on a certain day and the minimum of 4 persons is not reached you will be first requested to reschedule and if this cannot work then refunded any deposit paid with our sincere apologies. A: Jus’ Sail charters are “all inclusive” in that you can have as much to drink as you wish, within reason of course, and we do have a non-intoxication policy, for safety purposes. 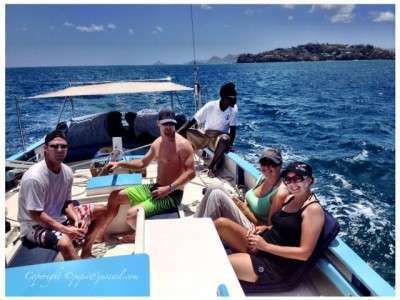 However, our guests are welcome to enjoy Piton beer, our famous rum punch, premium rums, fresh coconut water, fruit juice, coke and sprite and diet coke, water, and white wine with lunch on a full day and Prosecco on sunset cruises. 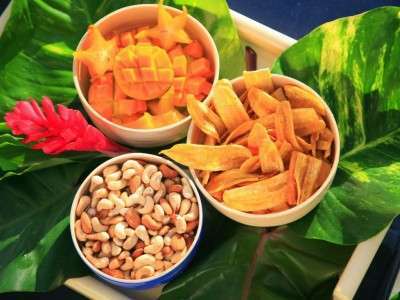 Food wise – Our charters all include locally sourced and home made snacks such as roasted cashews and plantain chips, homemade dips and fruit platters on half days and a full lunch of healthy salads and marinaded chicken off the bone along with an assortment of home made sides such as local salt fish and potato salad on full days. A: Yes within reason you can request a drink of your choice, if for instance you drink vodka tonic and not rum, if you request it in advance we can ensure we have it aboard. However, if you require a special premium brand such as Grey Goose Vodka or Dom Perrignon Champagne a surcharge will be applicable. 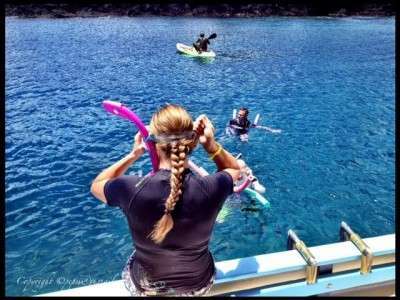 A: Yes Jus’ Sail welcome children on their charters, there is no minimum age, although in our experience children over 5 get the most out of the experience. Full day charters are better undertaken with children of 10 and over, due to the longer periods under sail (2hrs+ at a time). Children are under the care of their parents at ALL times when aboard, as such children are expected to be at their parents side throughout the charter. Jus’ Sail cannot be held responsible for the safety of guests children. 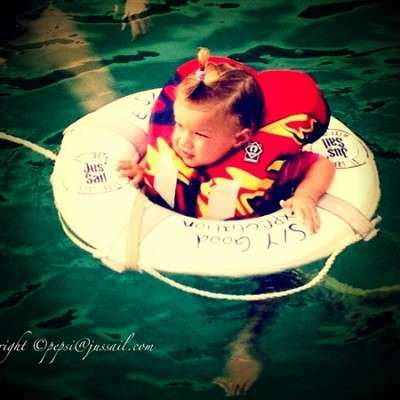 Lifejackets are mandatory for children when aboard and are provided by Jus’ Sail. Families are required to take a private charter and cannot join a group charter. 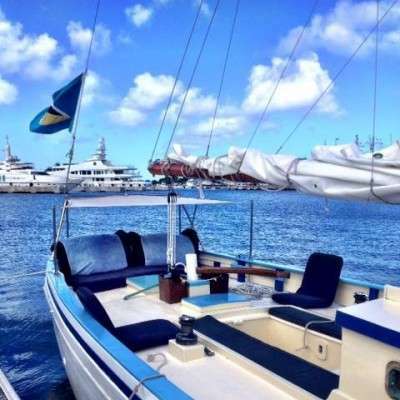 A: Jus’ Sail’s vessel – Good Expectation is berthed on “A” dock in the IGY Rodney Bay Marina. Our charters generally start and finish from this dock. Although customised itineraries for one way transfers to hotels in Soufriere or Marigot Bay or returning guests to the cruiseship docks can be arranged by request. Guests staying at The Landings in Rodney Bay can also start and end their private charter in The Landings marina. We are easy to find in the marina – on entering the marina gates, simply bear left and come across the car park to the waters edge. “A” dock will be directly in front of you. Good Expectation is the first boat on the right side of the dock – very distinctive wooden boat, with varnished wooden mast and white top and Jus’ Sail written on the side of the boat towards the stern. A: This obviously depends on the duration of the charter but also on the conditions on the day as we are bound by the wind and the sea state. In general, on a 2hr, sunset sail and half day charter we will be unlikely to sail South of Castries from Rodney Bay so staying in the Rodney and Choc bay area. On a full day charter we aim to reach Marigot Bay for lunch and relaxation to soak in the ambiance of this iconic bay from the water. A: The pitons offer the iconic vista of St Lucia, that view of the majestic twin peaks, which adorns every brochure and publicity guide for the island. And we at Jus’ Sail highly recommend that you do ensure you get to view the pitons before you leave the island either by land or sea. 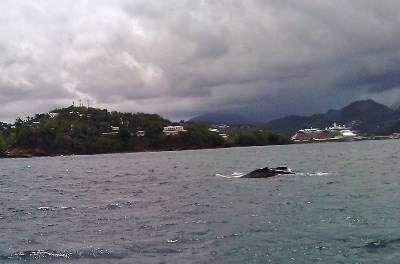 However, not necessarily with us, as its a long old sail from Rodney Bay! So the short answer is “no you won’t see the Pitons on any of our charters”. EXCEPT if you charter us for the one way transfer from Rodney Bay to Soufriere. Then it will certainly be a highlight of the journey as we reach Anse Chastanet Point and The Pitons and Soufriere Bay open up in front of us. A: Despite our best efforts at bribery and getting them on the payroll to ensure they show up, we sadly cannot guarantee that we will see whales or dolphins on our charters. Dolphins tend to stay quite a way off shore and we are unlikely to see them during one of our charters, although we have been fortunate enough to come across a pod of dolphins a couple of times over the years usually this only happens on a transfer charter offshore between Anse La Raye and Soufriere. Humpback whales can be seen closer to shore during the migration season, we have seen mother and calf relatively close to shore on a number of occasions in the months of February to April in the past. More commonly we do get to see Turtles, mostly resident Green turtles who live in the coastal waters of St Lucia. We have even been fortunate enough to witness turtles mating in the water off Barrel of Beef rock at the South end of Rodney Bay! A: Although St Lucia generally has ideal weather for sailing – warm, sunny and breezy, there are days when the weather is not conducive to a laidback sail. There is always the chance of showers in the tropics especially on a mountainous island like St Lucia, the occasional shower does not dissuade us and it is very rare that there is too much or too little wind. Cancellations are therefore more likely to be due to extended periods of rain, as Jus’ Sail do not operate their charters on days when heavy and extended rain is likely. Jus’ Sail will take a view on the weather each day of a charter based upon various weather forecasting resources such as the Martinique rain radar (see image) and if heavy and extended rain looks unavoidable then we aim to reschedule the charter for another day. If however, this cannot be done, any deposit paid will be refunded. A: Jus’ Sail require a 50% deposit at the time of booking in order to confirm your charter. 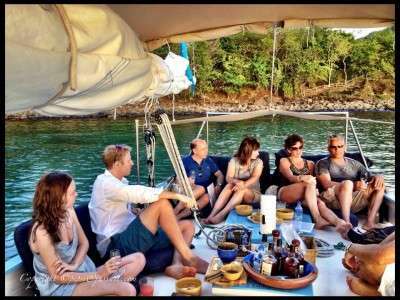 As a low volume business with limited spaces it is advisable to book ahead to ensure that you get to sail with us. 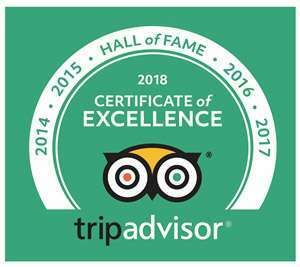 We want you to be very comfortable and certain that you do want to sail with us and are here to answer any questions that you may have before you commit to your booking. Once a booking has been confirmed both parties are committed to undertake it. If Jus’ Sail have to cancel that booking for what ever reason an alternative day will be offered when possible, failing that a refund of the deposit will be given. Jus’ Sail accept no responsibility for cancellations that they may have to impose and no further recourse other than reimbursement of the deposit can be sought. Should a guest’s circumstances change, that require them to cancel the booking altogether it is advisable to do so as far in advance as possible. Our cancellation policy is cancellations made 7 days or more before the day of the charter charter date will allow for a full refund of the deposit. Cancellations made less than 7 days but more than 2 days before the day of the charter will allow for half the deposit to be refunded. Cancellations two days or less before the day of the charter forfeit the deposit. Cancellations made on the day require payment in full. In all such situations, guests are advised to seek coverage from their travel insurance to cover their loss. A: Although Jus’ Sail have taken Good Expectation across the Martinique Channel as part of the annual Diamond Dash race (see image) and the channel is only 25 nautical miles at the closest point the passage can be rough and uncomfortable sailing for even seasoned sailors. Rodney Bay to St Ane or Marin in SE Martinique is usually at least a 4-5hr sail on a vessel the size of Good Expectation, it is therefore not possible to make the return journey in one day with any length of time ashore. As Good Expectation is also not equipped for over night stays Jus’ Sail, with its guests comfort and wellbeing in mind, simply do not offer one day or overnight trips to Martinique. A: Many people may be sensitive to getting travel sick or sea sick. Although Jus’ Sail have never had a guest suffer sea sickness to date we do advise those who know they are susceptible to sea sickness to take precautions before the charter, such as wearing the wrist bands and ear patches which seem to be effective or taking non-drowsy sea sickness medication if safe to do so medically. 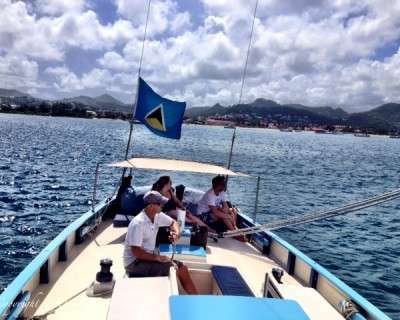 Jus’ Sail will always aim to keep you in the sheltered waters of St Lucia’s West Coast, and our guests are by and large always very comfortable aboard. A: Of course, even novice sailors can take a turn on the helm under the watchful eye of the skipper and first mate, conditions allowing. We welcome our guests getting involved in the sailing and are happy to offer formal or informal sailing tuition on request.